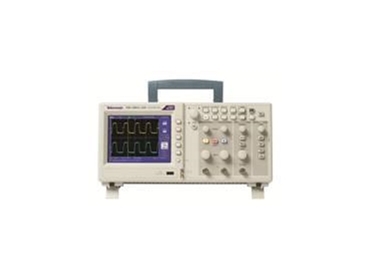 element14 Pty Ltd (formerly Farnell) has expanded their 130,000 strong inventory of electronic design components with the addition of Tektronix precise and intuitive oscilloscopes. Tektronix’s intuitive oscilloscopes are high performance and easy-to-use analytical solutions designed for the maintenance and repair segments, electronic design engineering sectors as well as aspiring engineers in schools to measure and evaluate their designs. Asia Pacific is fast becoming a global manufacturing hub, creating a rich ecosystem of technological sophistication that supports the production of a wide spectrum of electronics. As a result, design support and maintenance engineers are constantly challenged to find versatile analysis solutions that are capable of evaluating complex systems. Electronic design engineers also demand simpler tools to enable them to apply these solutions more easily and proficiently across several product categories, thus improving time to market while supporting the development process from concept to end of life. According to David Carew-Jones, Vice-President of Marketing, Service Solutions Organisation, Tektronix, the world-leading oscilloscopes manufacturer is in the business of helping design engineers solve their day-to-day challenges, which is achieved by designing products that are easy to use and provide the highest level of precision. He adds that the new partnership now allows their customers in Asia to access the latest technology through element14’s extensive network and logistical expertise. Marc Grange, Head of Product Management, element14, Asia Pacific says the company understands that evaluating the validity of designs is an essential phase of design cycles, while new engineers can learn and build up their proficiency through Tektronix analytical tools.